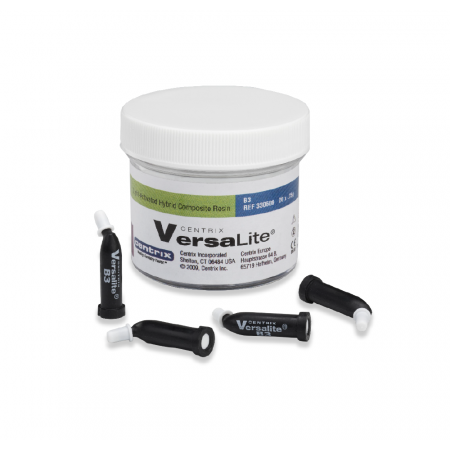 Connexio dual-cure 7th-generation adhesive is the perfect complement to Encore D/C core material, providing dual curing deep in canal, right to the bottom of the post space for a completely polymerized, integrated tooth/core/post monobloc. The self-etching ability of Connexio provides strong dentin bonds without the need for a separate acid-etching step. And, Connexio is nanoparticle reinforced to provide bond strengths that last longer. Connexio is designed for use with all types of composite resins – self-cure, light-cure, or dual-cure – and it tolerates residual moisture. It is the optimal bonding agent for dual cure composite materials, like Encore D/C. Uses water as solvent (not acetone or ethyl alcohol); more tolerant of humidity than other adhesives. Note: We recommend selective etching of enamel for maximum bond strengths. Can I etch before using Connexio? How would you lute Maryland Bridges? The enamel must either be roughened or conditioned with a phosphoric acid etching gel before applying Connexio. How should I store Connexio? Tightly close Connexio Self-Etch Bond bottles after use. Store in an upright position to guarantee flowback of the liquid. Store at temperatures between 39°F - 73°F (4°C - 23°C). Allow Connexio Self-Etch Bond to reach room temperature before use. Do not expose Connexio Self-Etch Bond to direct sunlight or the chair light. Prepare tooth. Remove excess moisture with a faint air jet. Do not over dry dentin. Mix 1 drop of Liquid 1 and 1 drop of Liquid 2 on a mixing palette with an application brush for approximately 2 sec (produces a self-etching adhesive). Connexio Self-Etch Bond is dual-curing and therefore must be applied immediately after mixing. Apply the adhesive in a layer of medium thickness to the enamel/dentin and rub into the tooth surface for 20 sec. Dry the adhesive layer for at least 5 sec with an air syringe. Polymerization — A. Direct restoration - Light-, self- and dual-curing materials. The bonding layer must be polymerized with blue light (halogen or LED lights) for 10 sec when using light-, self- and dual-curing restoratives. B. Indirect restoration - Light-curing luting composites: The bonding layer must be polymerized with blue light (halogen or LED lights) for 10 sec when using light-curing luting materials. Self- or dual-curing luting materials: When using dual- or self-curing luting materials, Connexio Self-Etch Bond also provides excellent adhesion without light-curing. Connexio Self-Etch Bond can also be light-cured for 10 sec with blue light (halogen or LED lights) as an optional step.